Featured Juicer Used On Fat Sick & Nearly Dead! 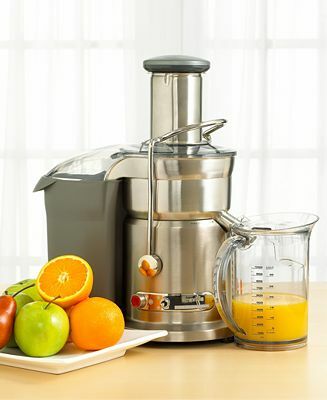 The Breville 800JEXL Juice Fountain Elite Juicer has been hailed by customers and retailers as the best juicer currently available. It represents Design excellence as it succeeds in integrating unsurpassed performance, innovation and superb engineering into a package that is simple to use and visually stunning. 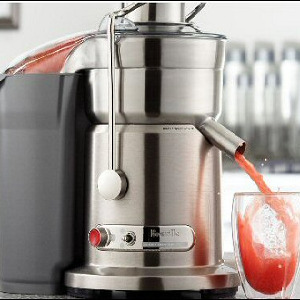 The Breville Juice Fountain Elite 800JEXL Juicer is designed for the high-end domestic user who is serious about juice and enjoys having a juicer with power to juice better than the $3000 juice machines used in juice bars. 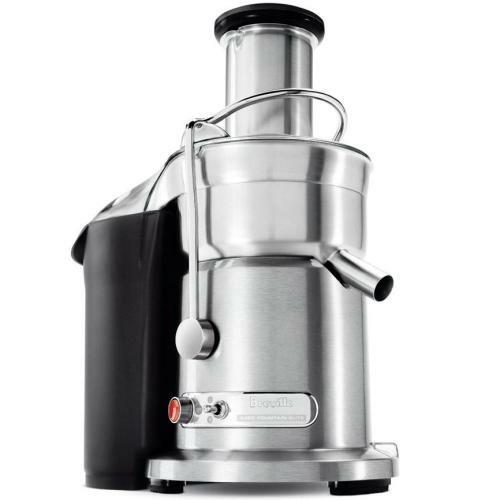 The Breville Elite Juicer was designed with diagonal knife blades that are housed on a titanium plated stainless steel cutting disc. The blade disc contains 115 separate cutting surfaces to process pulp, yielding the maximum amount of juice for a centrifugal juicer. What really set's this juicer apart is it uses a patent technology that feeds fruits and veggies directly into the center of the cutting surface. The advantage of this is that it captures more juice by requiring a longer distance for the juice to travel to get to the filter edges of the disc resulting in less juice lost. Delivers 30% more juice than most other juicers. 40,000+ filter pores for smooth juice with less pulp. Wide feeding tube reduces preparation time. Most parts are safe for the top shelf of the dishwasher. High juice yield in very little time. High speed setting juices harder fruits and veggies. We ship worldwide, please email us for a shipping quote.